Chester's Provisions is located next door to Chester's and has unique and hard to find food, beverage, gift and entertaining items. Chester Brunnenmeyer’s Bar and Grill is owned and operated by Chester’s grandson, Stuart Arp and Stacy Heath. Chester’s parents, John and Lena, owned and operated a saloon in the small town of Washington, IL, from 1896 until 1906, when the town went dry. They then turned the business into Brunnenmeyer’s grocery store, where Chester delivered groceries for many years. In 1944 Chester inherited the building and transformed it into a tavern called The Spot, where on October 5, 1952, his daughter, Mary Brunnenmeyer, and her new husband, Harlan K. Arp, had their wedding reception. Chester operated The Spot until he sold the building shortly after Mary and Harlan’s wedding. Chester Brunnenmeyer’s Bar and Grill is located on the first floor of the old Gartrell Hotel. During the 1920's and 1930’s Blue Ridge, GA, was a bustling rail center where tourists came to visit attractions such as the mineral springs and the Mary P. Willingham School for Girls. The Gartrell Hotel, owned and operated by Annie and William Gartrell, accommodated the visitors. It contained 12 rooms on the second floor with retail stores below. The building changed hands several times throughout the years becoming a flower shop, an auto parts store and an antique mall. 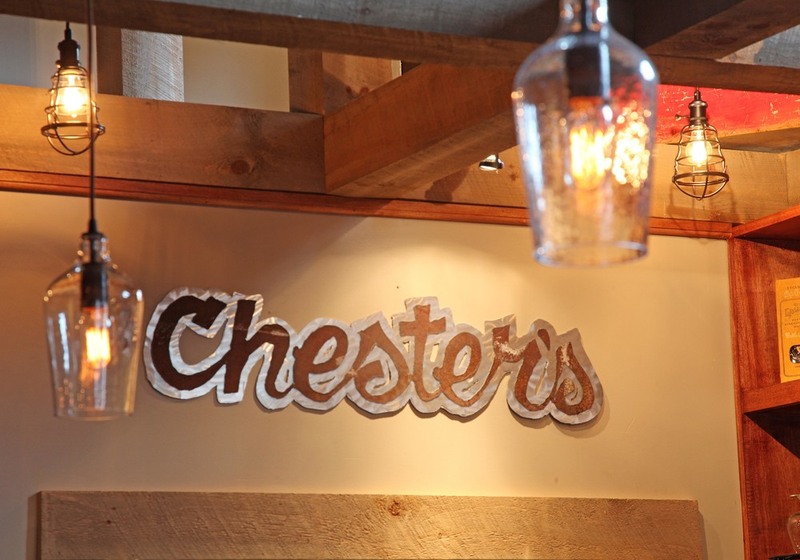 In 2014 the building was bought and restored by Mike and Sherry Triebert with Chester's Provisions and Chester's Bar and Grill occupying the bottom floor. From US 76 turn right onto East 1st street. Go 1.4 miles and turn left on Depot Street. Take 1st right on East Main Street.